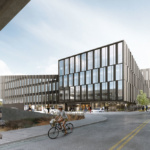 The University of Cincinnati has broken ground on what will be the first U.S. project for Denmark-based Henning Larsen Architects. 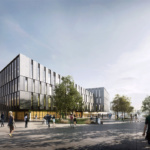 The University of Cincinnati (UC) has broken ground on what will be the first U.S. project for Denmark-based Henning Larsen Architects. 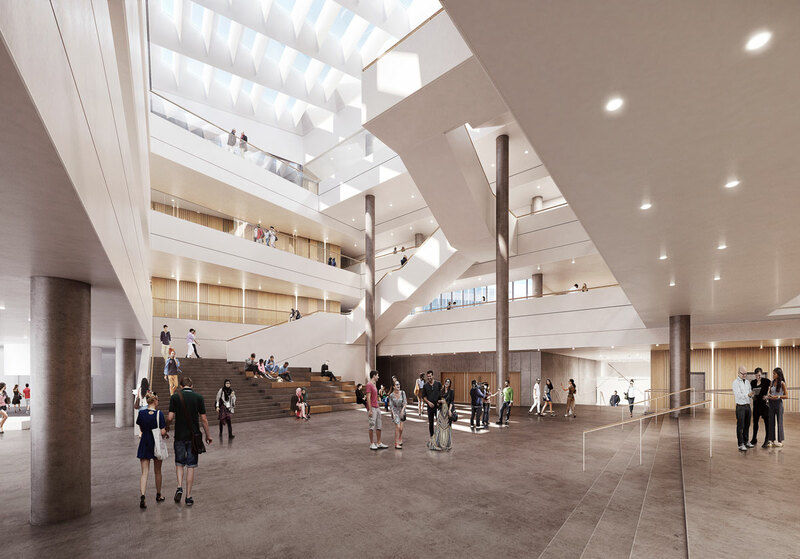 The 225,000-square-foot Carl H. Lindner College of Business will take two years to build at a cost of $120 million. Henning Larsen’s design focuses on encouraging interaction and allowing for future flexibility. 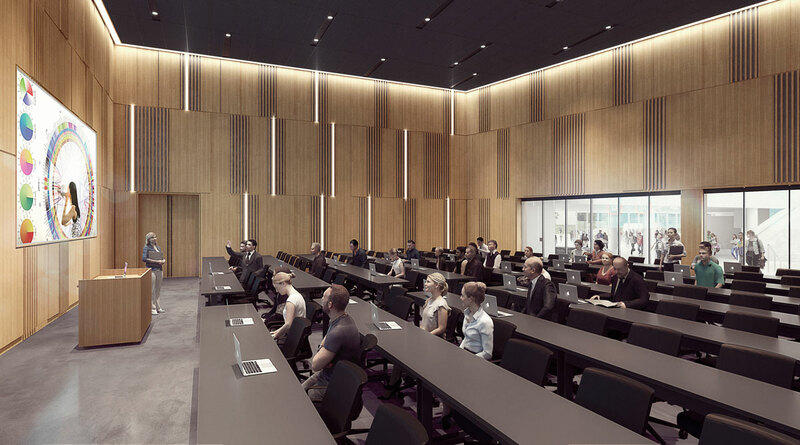 Specifically designed to work with UC’s West Campus master plan, the building will be a central meeting place for the entire campus. 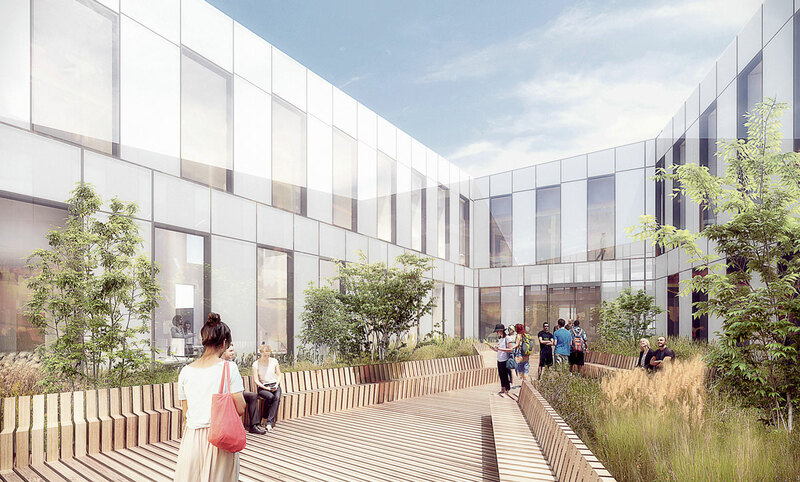 As a nexus of activity, the project is boarded by a new transit stop, the Campus Green, a bustling pedestrian way, the campus Library, and a new plaza. 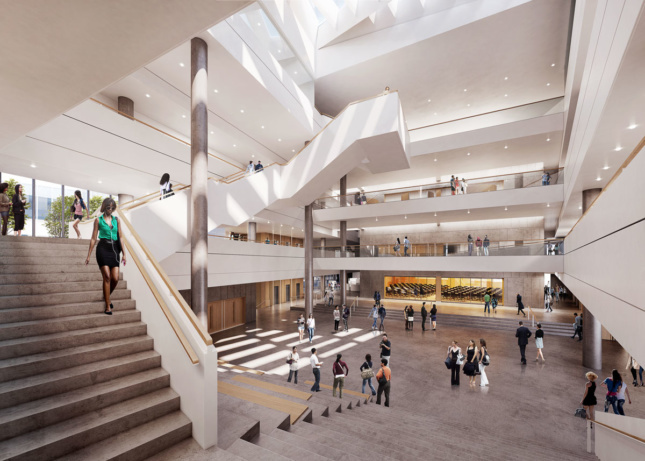 The ground floor interacts with the Campus Green’s landscaped mounds and numerous pedestrian paths through varied stepped levels. 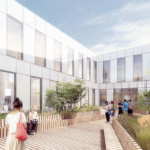 The green roofscape continues the connection with the surrounding campus via multiple lookout points, all varying in height to address neighboring structures. The roof’s curving lines also make reference to the pedestrian paths below. Large open-air atria puncture the four-story building at different levels, bringing in light and air to the heart of the project. 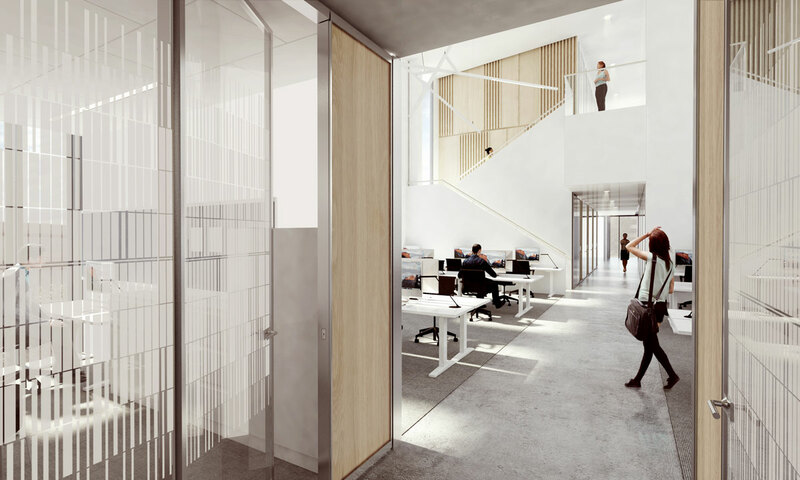 The interior space planning aims to bring faculty, students, and the greater Cincinnati business community together. Public functions fill the completely transparent ground level. 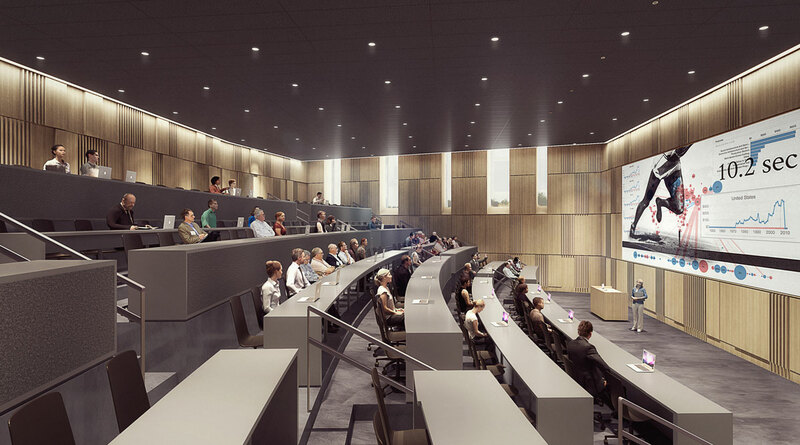 A lecture hall and auditorium make up the largest programmed spaces, while a seating staircase and indoor and outdoor furniture allow for more informal meetings. Quieter spaces line some of the atria, allowing students to work under natural light. 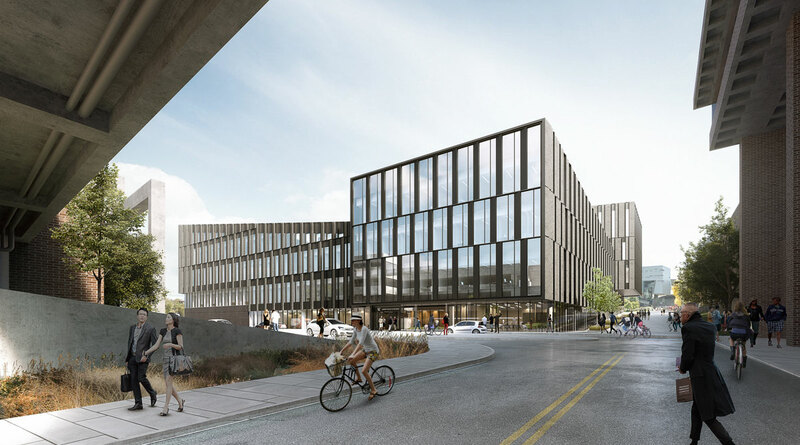 Along with a goal of achieving LEED Gold Certification, the project utilized Henning Larsen’s dedicated sustainability specialists throughout the entire design process. The team analyzed everything from wind forces to solar loads and local microclimates. Simulations based on that data were used to inform the form and orientation of the project. 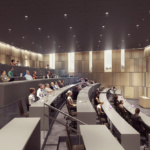 Henning Larsen has lead the design of the project while Cincinnati-based KZF Design is acting as architect of record. 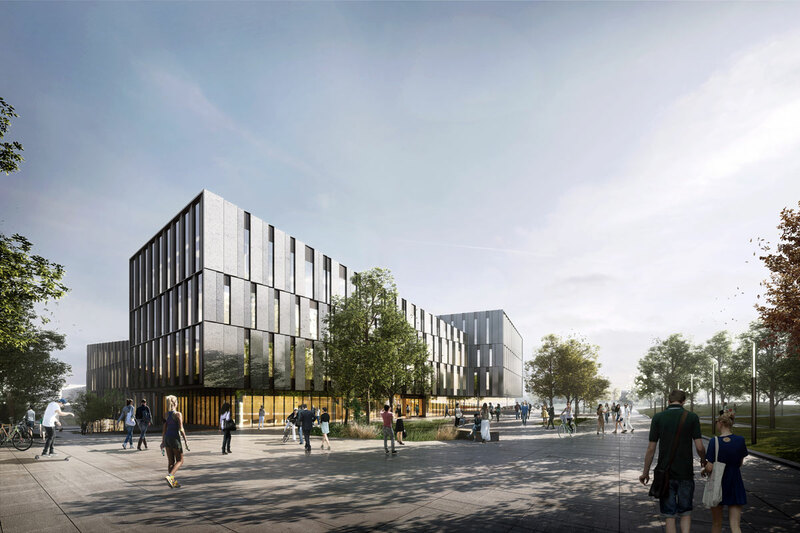 The design was chosen through a competition, with the Henning Larsen/KZF team beating out a shortlist that included Foster+Partners . 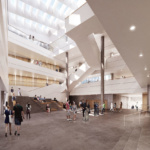 The competition was part of the University’s Signature Architecture Program, which has helped bring work by the likes of Frank Gehry, Michael Graves, Peter Eisenman, and Thom Mayne to the campus.